Men, it has been well said, think in herds; it will be seen that they go mad in herds, while they only recover their senses, slowly, and one by one. 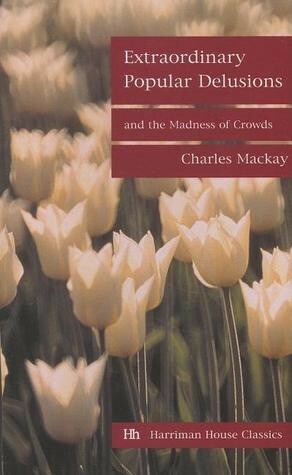 “The Extraordinary Popular Delusions and the Madness of Crowds ” was written by Charles Mackay in 1841. It is a testament to the quality of the book that it is still relevant and in print today. This book talks about three massive financial scams (as we call them today) that occurred in the 18th century. The book explains the details behind the scams, the mob mentality of entire countries and their aftermath. Get this book for free at Project Gutenberg. I read the edition that had only these three chapters. The complete editions have more dealing not just finance, but withcraft, alchemy, religion and other subjects. Charles Mackay’s writing is exquisite. In this era, where we are implored to keep our content and ideas simple (though this blog tries otherwise), it is refreshing to read a book with well crafted, complex sentences that is not watered down for a casual reader. After the clarity and crispness of the language, the next item I liked best, was the detailed description of these scams and their evolution. The mob mentality, pervasive in homo sapiens sapiens, has clearly not changed over the years. We see, through Charles Mackay, that the same sleight of hand and tricks that were employed 300 years are still being employed today. I did not realize that I read a condensed version until I wrote this review. Amazon has disappointed me. “The Extraordinary Popular Delusions and the Madness of Crowds ” is a riveting classic. It is well written and, for that alone, is worth the time spent on reading it. The description of the scams, mass panics, fads and trends and their evolution, is just icing on the cake.